Late great comedienne Phyllis Diller said a lot of funny things, but one smile quote she gave had a lot of wisdom to it as well: “A smile is a curve that sets everything straight.” When you begin your day with a smile, it sets you on the right track to happy hours filled with productive work and fun. If you see a dull, crooked or unattractive smile in the mirror, it can make it more difficult to feel motivated to move forth with joy. Scientists have conducted research that actually shows smiling releases brain chemicals that reduce stress and increase contentment. They are also highly contagious. When somebody flashes a beautiful smile your way, don’t you feel better and begin to smile yourself? People who smile are automatically considered more attractive than those who don’t. A smile is one of the first things other people judge you by. Smiling at yourself in the mirror can make you feel great too. Instead of focusing on the meeting with your kid’s teacher on a busy day, give them a winning smile to reduce the stress. Instead of worrying about the huge presentation at work, smile at your co-workers and boss to make them all more receptive to your ideas. Instead of getting frustrated with rude or impatient people at the store, give a simple smile and see how the positive attitude spreads. Since your smile is such an important tool in your good feeling arsenal, you need to make sure it is the best it could possibly be. At Team Demas Orthodontics, the expert orthodontists can correct crooked and misaligned teeth with braces or Invisalign among other procedures to give you the most beautiful smile ever. 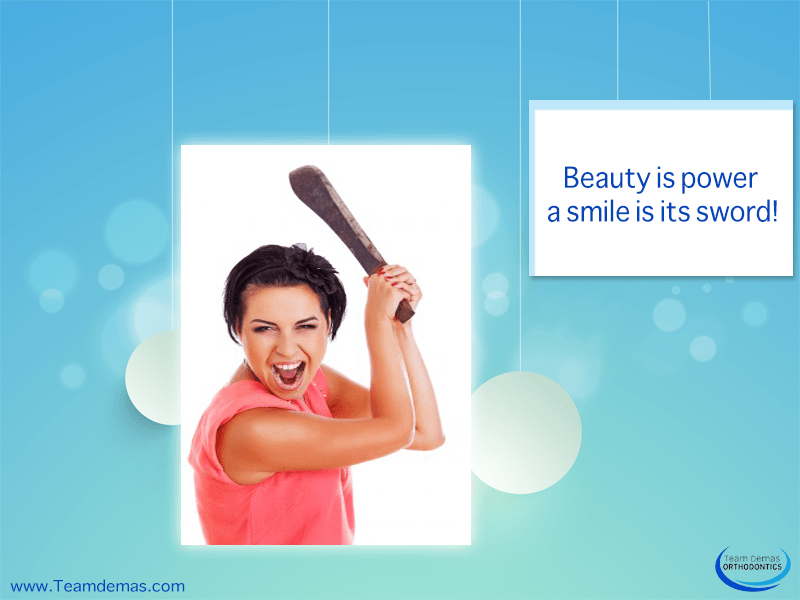 Beauty is Power, a Powerful Smile is its Sword! 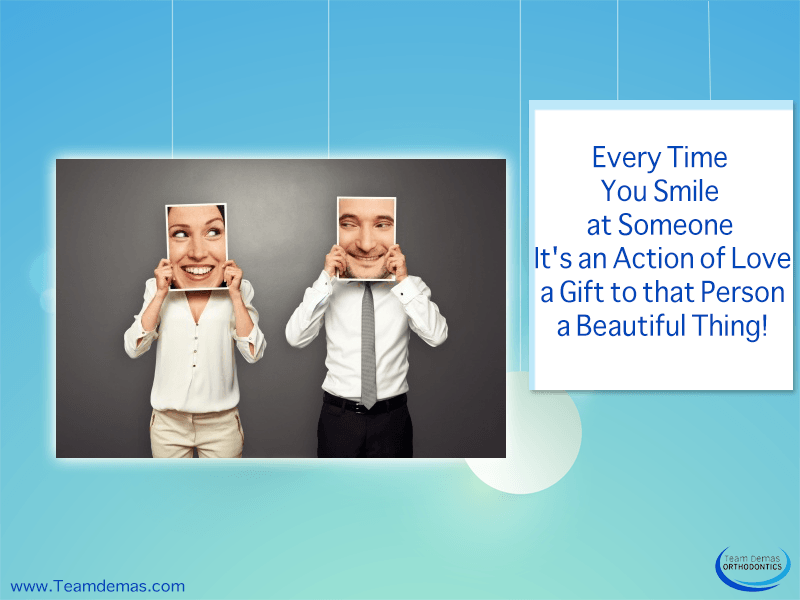 Every Time You Smile at Someone, It’s an Action of Love, a Gift to that Person, a Beautiful Thing!